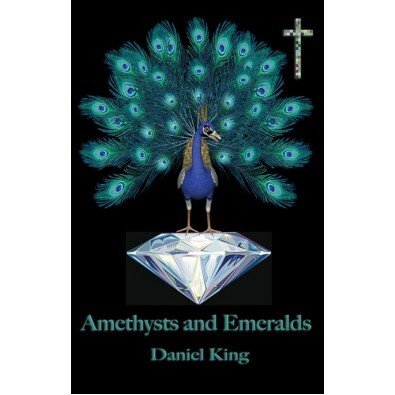 Amethysts and Emeralds is a selection of Daniel King’s award-winning poetry, much of which has been published in journals around the world. The poems embrace a wide variety of forms, from free verse to sonnet, roundel, villanelle, and sestina. Thematically, too, the poems are very varied, ranging from the realist “Head in the Sand”, published in the prestigious London Magazine, to a song lyric from Shadows of 1876: The Wild Birds have Returned, a CD of mystical country music songs about historical figures and events from the United States in the year 1876. Most of the poems, however, have a special interest in Catholicism, Hinduism and mysticism.